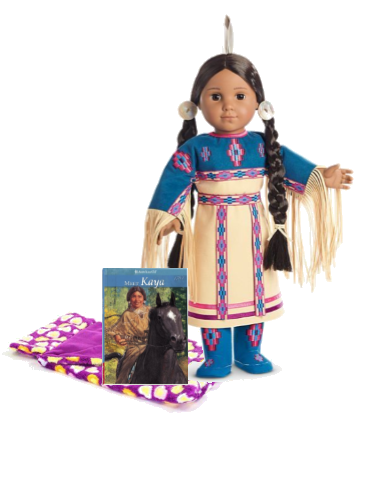 The 18" Addy doll has deep-brown eyes that open and close, golden hoop earrings, and thick black hair. The 18" Blaire doll has bright green eyes that open and close, and curly red hair. She is a chef-in-training, party planner, and chicken wrangler at her family’s farm and restaurant. Gabriela is a true talent who gets creative for a cause. The 18" doll has warm brown eyes that open and close, and curly dark-brown hair. Arriving in an outfit that shows her love of dance and fashion design, the 18" Isabelle doll has sparkling hazel eyes that open and close, and long blond hair. Daring Kaya has deep-brown eyes that open and close and long, shiny black hair. 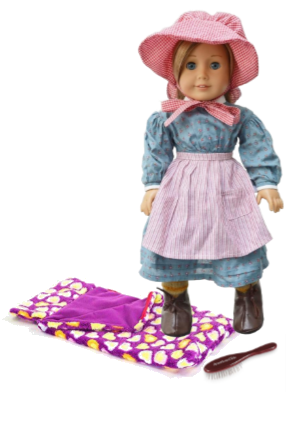 The 18" Kirsten doll wears an outfit which is symbolic of the start of her new life on the American prairie in the 1850s. Clever Kit Kittredge has brilliant blue eyes that open and close, a neat blond bob, and a sprinkling of freckles across her nose. She comes in an authentic 1930s outfit. 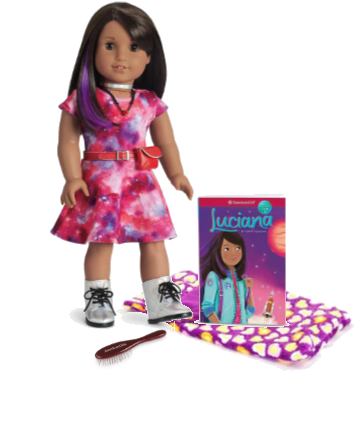 The 18" Lea doll has warm hazel eyes that open and close, and long, light-brown wavy hair with sun-kissed highlights. Meet Logan, Tenney’s bandmate and drummer! The 18" Logan boy doll has gray eyes that open and close, and short brown hair. Logan’s unique hand positioning helps him hold instruments! Girls can reach for the stars with science-lover Luciana Vega!